When it comes to restocking your vehicle's first aid kit, it is always better to be safe than sorry and keep a back-up emergency stock. The Motokit Vehicle First Aid Kit Refill Materials provides you with refill in a range of sizes, depending on the size of your kit. 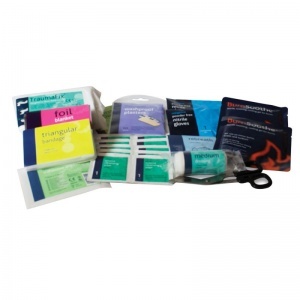 Whether your first aid kit is for your motorbike, car, or minibus, it is always best to have a spare supply of first aid provisions to hand for easy replenishment. 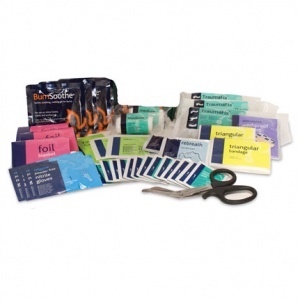 The refills can be used with whichever style container or bag previously purchased, as long as the refill quantities match the size of your existing kit. 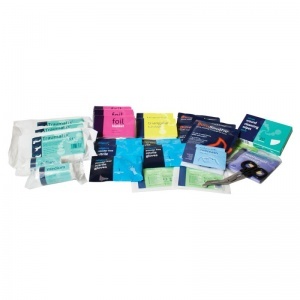 The Motokit Vehicle First Aid Kit Refill Materials are usually dispatched via First Class Royal Mail and delivery should be within 1 to 3 working days.